Don’t underestimate Chef Prakash Pawaskar of Trident, Nariman Point, Mumbai. In the outwardly unassuming Executive Sous Chef lurks a connoisseur of the cuisine of Maharashtra in all its Spartan glory. Pawaskar’s links with the food of his home state go back to the time of Shivaji as a matter of fact: his father-in-law, from the Modi community, has a great grandfather who supplied pulses and spices to the great leader and his army. 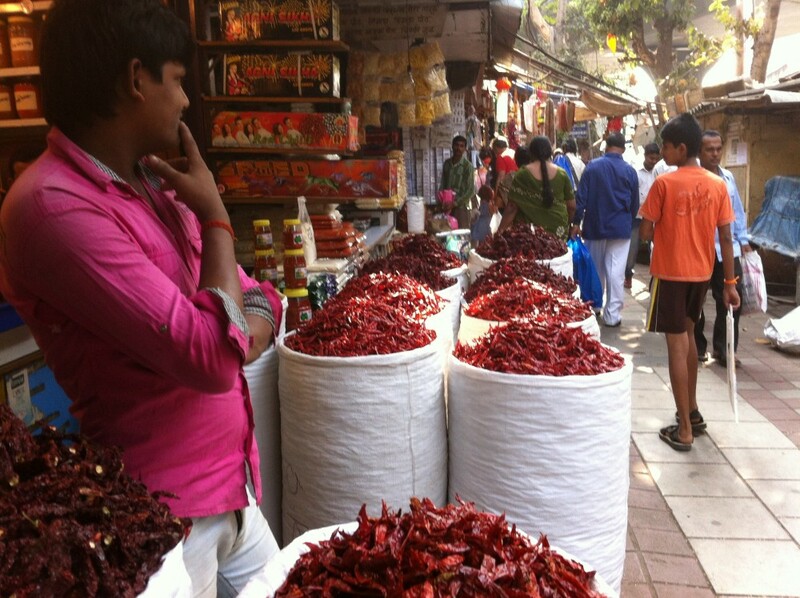 As an 11-year old, Pawaskar was inveigled into drying the family’s spices on a sunny terrace and then taking them to Lalbaug to have them roasted and ground in front of him. 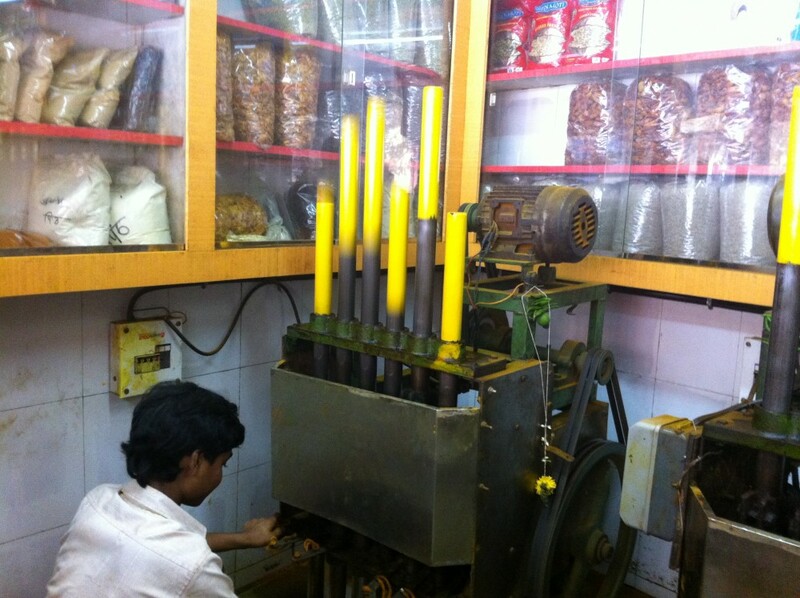 Many families in the Parel-Lalbaug area have always had a couple of key spice blends ground once a year – a practice that goes on till today. 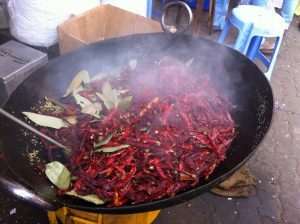 And it really is in the vacation month of May, well before the monsoon, that spices are ground. 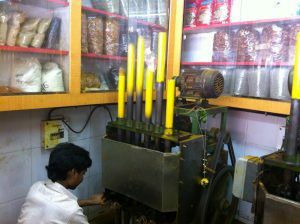 While Pawaskar – who hails from Maharashtra’s Vaish-Vani community – used to have the family’s supply of garam masala roasted and ground, other communities would bring similar ingredients to be ground, but the proportion of ingredients and the degree of roasting would make all the difference. Thus, while garam masala (which is meant for a community who likes their lamb and chicken) contains bedgi chillies, cinnamon, cardamom, cloves, peppercorns, bayleaf, and star anise, Goda masala, used by the Brahmin community, has far fewer chillies and includes jira, haldi, roasted grated coconut and hing in addition to cinnamon and cloves. The more downplayed spices make Goda masala more suitable for use in vegetarian food. The row of spice sellers in Lalbaug’s Mirchi Galli, most of who are from Sangli, is only the visible face of Maharashtrian spices in Mumbai. Mumbai has a veritable army of anonymous housewives who make spice mixes for themselves and their neighbours and friends. Most people tend to dismiss Maharashtrian food as being a trifle simplistic. It is nowhere near as popular at five star banquets as say, Kashmiri and Punjabi food is. Yet, in its very simplicity, nay austerity, is a certain elegance. Vegetables are never overcooked; the cooking medium is never visible; there is an underplayed sophistication in the play of tastes and textures as exemplified in the iconic vada pao, a mere Rs 6 a pop. It is entirely fitting that those dishes that are fading out of the Maharashtrian repertoire are not due to complicated procedures, but precisely on account of their simplicity. Doodha chi Aamti, the ultra-simple, kadhi-like accompaniment to rice that is tempered with curry leaves, mustard seeds, ginger and garlic has to be made with the milk of a single cow. In the old days, it was a foregone conclusion that everyone in Pawaskar’s home-town of Sawantwadi possessed a cow. 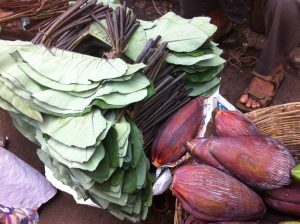 In today’s milieu, the basic ingredient for Doodha chi Aamti is a rarity in all but a remote village, and so there’s one dish less in the annals of Maharashtrian cookery. The logic is that if you use the milk of several cows, the dish is bound to split. Kolhapur’s signature dish is Kolhapuri Mutton. Grind ginger, garlic, green chilli, coriander leaves and turmeric. Apply this paste to mutton for half an hour as marinade. In a pan, sauté roughly chopped onion in ghee, add mutton, stir-fry for 10 minutes add water, cover and cook for 20 minutes.